For Book Beginnings, Rose City Reader invites us to share the first sentence (or so) of the book you are reading, along with your initial thoughts about the sentence, impressions of the book, or anything else the opener inspires. 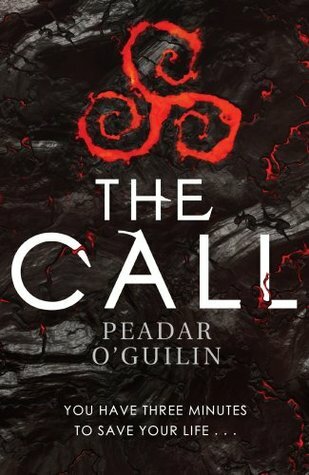 I am currently reading The Call by Peadar Ó Guilín. On her tenth birthday Nessa overhears an argument in her parents' bedroom. She knows nothing about the Three Minutes yet. How could she? The whole of society is working to keep its children innocent. To be honest, I didn't find this the strongest of openings. Based only on these lines I wouldn't have continued. But I give books a five-chapter chance to hook me and this one hooked me good. I have seen a lot of people talking about and recommending The Call, and the people of Twitter picked it as my first YALC read, so I finally picked it up and I'm buddy reading it with my librarian bestie, five chapters a day. In the following week two boys are Called from Year 6, both with unhappy outcomes. That's three boys in a row, and the superstitious girls of the college are finding it hard to sleep. For some reason, if you pick just a couple of line from anywhere in this book it doesn't really work. This is quite frustrating because as a whole, so far this book is pretty marvellous and addictive and I've really struggled not to race through it. I'd find this book super easy to devour in one sitting. By this point, I'd already convinced my reading buddy to add an extra five chapters on to our daily chapters, and once she'd caught up she convinced me to add yet another five chapters. I'm now over half way through and I can't wait to finish! Glad you're enjoying it so much. 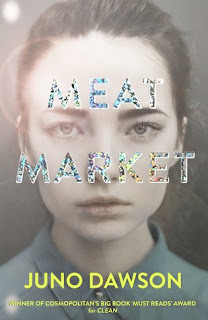 I can tell, even from the excerpts that the writing is really good. Glad you're enjoying it. I'm reading Difficult Women by Roxanne Gay. Oh, btw- Your link on BOOK BEGINNINGS isn't a good one. You might want to check it out and see if it needs to be updated. You've captured my curiosity! Happy weekend! This must have slipped past me as I've not heard of it before. Sounds good though.